If you suffer from indigestion, bloating, gas or IBS, The Gut Health Transformation offers a natural pathway to a happier, healthier digestive system through the power of probiotic smoothies. 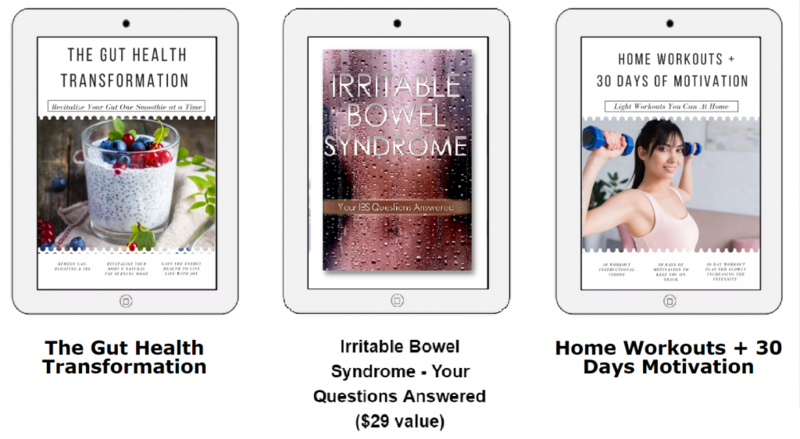 EVERYTHING you need to know about revitalizing your gut health in a concise, easy to understand and ACTIONABLE format. No more guesswork on what you need to do to revitalize your gut and lose weight naturally! WAVE GOODBYE to gas, bloating, diarrhea, cramps and other nasty IBS symptoms.And say HELLO to more energy, happier moods, and a body able to turn food into nutrients like it’s supposed to. 30 DAYS OF HOME WORKOUTS! Get videos, workout plans and 30 days of motivation to help you finally achieve your body goals! ALL delivered by email within minutes of purchase. YOU WON’T PAY A CENT. Just send an email to matt@eruditelifestyle.co.uk with a your name and receipt and it will be refunded. No questions asked. All personal information you submit is encrypted and secure using PayPal’s world leading security. All payments are secured by PayPal’s robust 256-bit encryption. 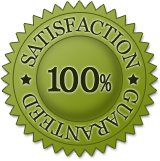 Disclaimer – The Gut Health Transformation has not been evaluated or approved by the FDA. The information it contains is not intended or implied to be a substitute for professional medical advice, diagnosis or treatment. You are encouraged to confirm any information in The Gut Health Transformation with other sources, and review all information regarding any medical condition or treatment with your physician.